Psychotherapy works through dialogue between the therapist and client—but what if you could have an effective healing dialogue with yourself? 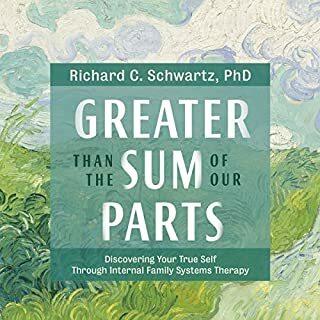 "Because our minds are actually a home to many sub-personalities," Dr. Jay Earley explains, "we have the ability to heal ourselves by engaging directly with the each of our parts." 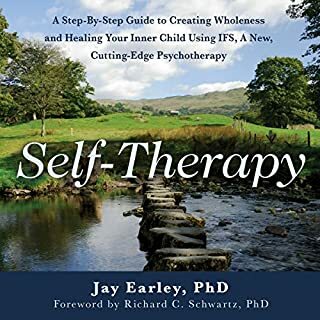 With Self-Therapy, Dr. Earley offers a complete audio training course in a revolutionary therapy called Internal Family Systems (IFS), a powerful psychological tool for finding freedom from chronic emotional issues such as depression and anxiety, and creating internal harmony where the aspects of your psyche are working together for your well-being. Why all emotions—even the most painful—have value. How to identify emotions and the defenses we put up against them. How to get to the root of anxiety—the most common mental illness of our time. 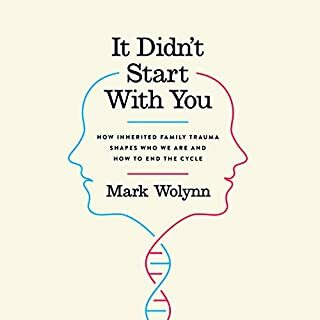 How to have compassion for the child you were and the adult you are. I was very surprised and delighted by how easy this book was to understand. It was very important to me because I have witnessed how tenacious my own defences are when trying to make emotional connections. The process is not easy and must be undertaken gently and with a great deal of self compassion. The author explains her techniques in a clear, jargon free manner and I was able to put them into practice right away. The second thing I really loved about the audio book was that it was voiced by the author. She really did a great job and comes across as a sincere, open hearted person. Everyone should read this book. I'm a therapist and plan to give it to my family and refer it to all of my clients! Wow! Great! Something I’ve grasped and might use! 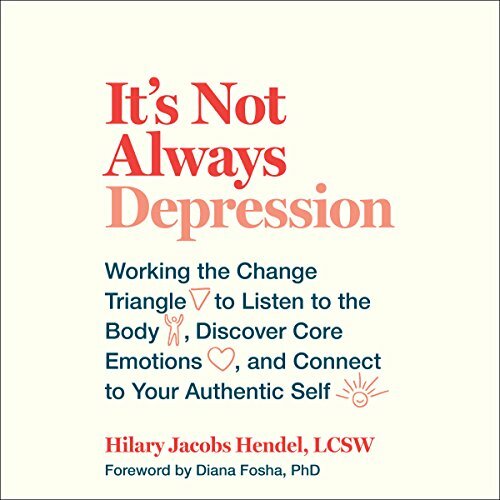 This book helps with your emotions instead of blocking them. I feel better after listening to it! My bad feelings are still there but now I feel like I can handle them! The book has a great system of dealing with our emotions and feelings. Highly recommend to anyone wanting to understand how to deal with emotions and how to respond when they overwhelm you! Changed my life! Hilary Hendel provides an insightful and accessible interpretation of attachment psychotherapy. 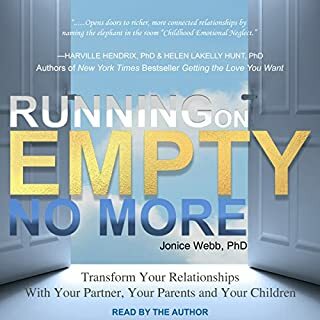 Although this book can be used as a “stand alone” I found it to be a powerful adjunct to working with an attachment therapist. The combination of case narratives, explanations of theory and exercises for the reader both hold our attention and invite active involvement in our personal emotional healing. Transformational! Helped me to understand how to reach deeply into my emotional life to experience and process my feelings both negative and positive ones!! 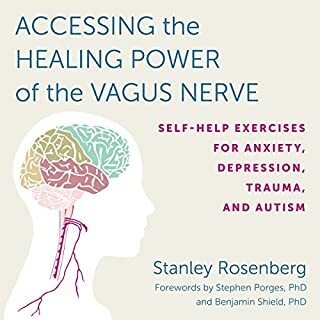 Very important book for therapists as it provides a comprehensive approaching to processing trauma not simply a list of tools. 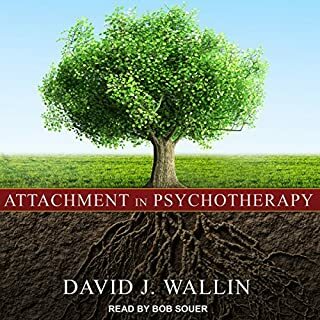 Very powerful for both lay people and professional s who grapple with our emotional well being at the most fundamental level and in a day to day manner. Very highly recommended! This book inspires the reader to dive deep and surface. Pleasant narration helps the reader feel at ease as we delve into difficult material. Loved it! More people need to understand all of this powerful framework to recover and heal. I got what I was hoping to get from this book. It explores deeply how mindfulness can fill the gaps and problems that we create by ignoring or inhibiting our natural emotions. I loved it.